Online Dating for the Modern Cow! 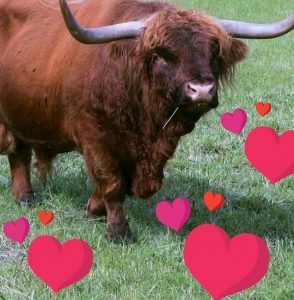 ‘Tudder’ is a brand-new app, launched this Valentines Day by Sell My Livestock, which “seeks to unite sheepish farm animals with their soulmates”. The idea is that farmers who are looking for breeding matches for their animals can scroll through possible options to find a potential match. Swipe right for the animals that suit your requirements and you will be directed to the Sell My Livestock website. From there, you can find out more information about the animal and contact the owner. Who knows, it could just be a Valentines’ Day gimmick, or it could turn out to be a useful tool for farmers across the UK!